White kitchens have been THE trend over the last five years ... but that doesn't mean your space has to be eggshell, ivory or alabaster to look fresh and modern. To prove it, we've rounded up seven kitchens we've designed recently that aren't all white. Here, non white kitchen designs you'll love. 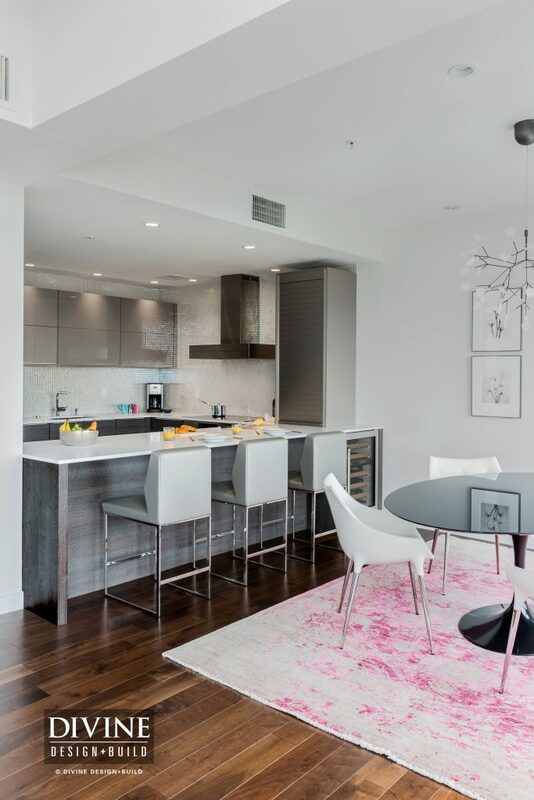 This contemporary space in a Boston condo building features two styles of gray cabinetry--high gloss upper cabinets and a gray-stained wood--to create a modern, unique design. 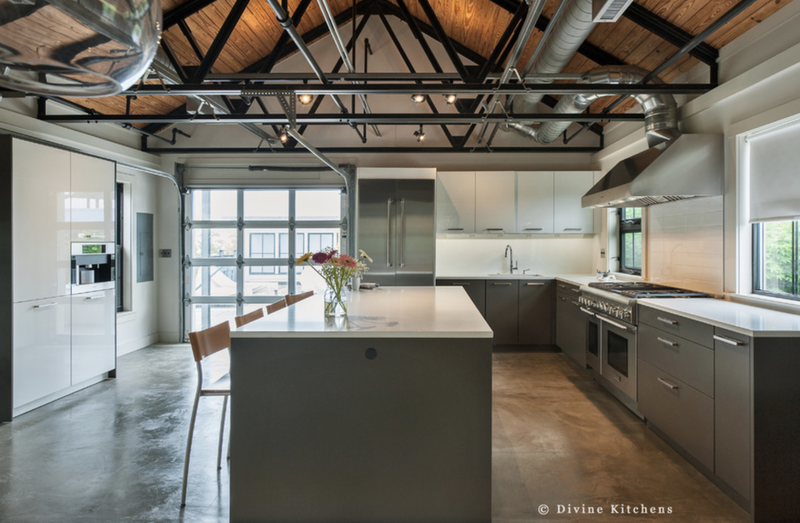 Here, white upper cabinetry is paired with charcoal gray lower cabinetry that complements the polished concrete floors in this industrial space. 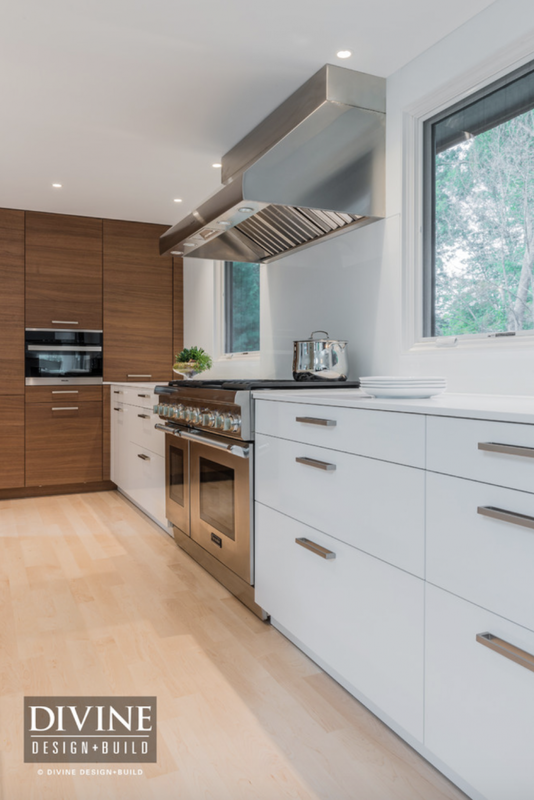 In a small kitchen design, wood grain cabinetry creates a focal point but doesn't overwhelm the space. A traditional kitchen on Cape Cod is the perfect setting for blue-toned cabinetry paired with antique brass hardware. Another stunning traditional scheme: green-gray cabinets and a contrasting dark-walnut built-in pantry. If you love the white look but want something a little different, consider pairing white cabinets with something darker, like a walnut wood tone or deep gray. Another option: Add in a colored backsplash to a combination of white upper cabinets and gray lower cabinets to add interest to a neutral scheme. To see more non white kitchen designs visit our Houzz profile or stop by our showroom in Wellesley, Mass.